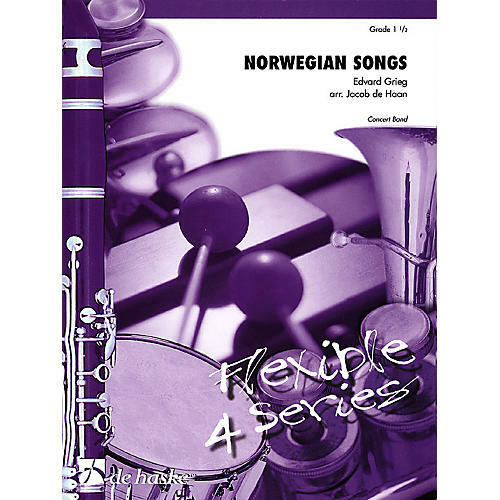 Norwegian composer Edvard Grieg (1843-1907) wrote a lot of songs, several of which Jacob de Haan has arranged for ensemble of variable strength. The songs are: Fremad! Fremad!, Stille Nu! and Fola, Fola, Blakken. It has been arranged for beginner bands and can be played with a minimum of four players (+ percussion).